As far as timeshare providers go, the Villa Group with its Villa del Palmar brand stands out as one of the most loved, long established and high quality examples. The Villa del Palmar brand is certainly among the best timeshares in Mexico. Having been in operation for over 30 years, and with a board of directors who have 40 years of experience in the industry, the Villa Group is somewhat of a leviathan in the Mexican timeshare scene but its members are still its lifeblood. The thing with the Villa Group is that youâ€™re not only buying a timeshare when you invest with them. Youâ€™re also buying a service guarantee of value for money, quality, reliability and continuous improvement. With this you get access to some of the most prestigious and luxurious resorts in the country. You can buy your Mexican timeshare from the Villa Group safe in the knowledge that the resorts have been specifically placed in hand-picked locations in Mexico which make the very most of the natural beauty that Mexico has to offer. 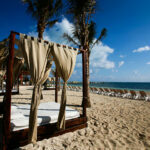 You can choose from resorts in Cabo San Lucas, Cancun, Riviera Nayarit, Puerto Vallarta and the Islands of Loreto. The best feature of a Villa Group timeshare, however, is definitely the points based system on which the company operates. This system is the best timeshare solution which allows owners to have more freedom as you donâ€™t buy set weeks in a set accommodation which must be used every year (and only at a certain time) or lost. Instead you buy points which are equivalent to a certain amount of time in a certain standard of accommodation and then spend them as you see fit. This means you can change the location and time of your vacation from year to year. You can decide to take less luxurious accommodation for more time or upgrade your living quarters and stay less time. You can also save and borrow these points (you wonâ€™t lose them if you bank them) for special occasions or even use them for services such as spa treatments and all-inclusive meal plans. 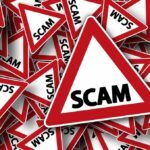 There are three mains types of scam for which you might be in need of Mexican timeshare solutions: the resale scam, cancellation scam and introduction scams. These all involve a third party charging some kind of fee for a service or deal. 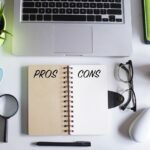 Whether it be a low-low price for a timeshare, to cancel your existing timeshare without backlash, or even so that you can meet someone whoâ€™s offering big bucks for yours. The best way to avoid being scammed is to only deal with the Villa Group directly. Buy from them, and talk to them if you wish to cancel your membership. 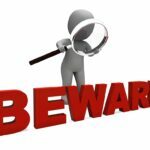 Villa del Palmar Timeshare Promoters – Beware?